Last week was an emotional one for music fans, as it marked the 30th anniversary of John Lennon's death. While tears were shed, many of us chose to remember the occasion by celebrating the legendary artist's music. The Autumn Defense, the side-project of Wilco members John Stirratt and Pat Sansone, paid homage to the fallen star by covering his classic cut "God," off of 1970's Plastic Ono Band LP, at a December 8 gig in NYC. Wilco band leader Jeff Tweedy popped up onstage for the number to tackle Lennon's lyrics. 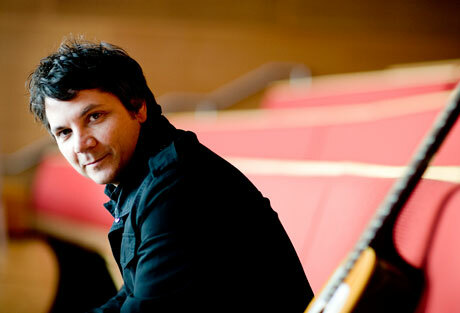 Who's to say whether or not Tweedy actually believes in Yoko Ono, but the singer swapped out her name at the song's climax to admit that he only believes in "Wilco and Me," which garnered a round of cheers from the crowd. You can check out the live clip below.